Donors Made it Possible — Canvasback Missions, Inc.
Two Canvasback dentists with two of their patients—all four of them thank Septodont for their generous donations. For a Canvasback clinic to be successful, we need not just volunteers but medicines and equipment as well. Adrian Fenderson, DDS heard about our two June dental teams and made a commitment to secure the supplies they required for clinics. Dr. Fenderson first solicited dental supplier Septodont, which generously donated disposable dental needles and a variety of topical anesthetics, both of which are crucial to providing care. SunStar, another dental provider, donated toothbrushes, all of which were handed out to thankful patients. Fenderson also wrote letters to fellow dentists in the Napa area, explaining Canvasback’s work and needs. "I wrote to them: 'As you know, I've been on many of these trips. We're doing another one. Here's what we're looking for. Here's what we need,'" said Fenderson, who recently retired from dentistry. He followed up with a phone call announcing he'd be stopping by. Then, he personally drove to their offices, collecting the dental articles they gifted to the mission. Without these supplies, our dentists would have been severely limited in the procedures they could have performed. 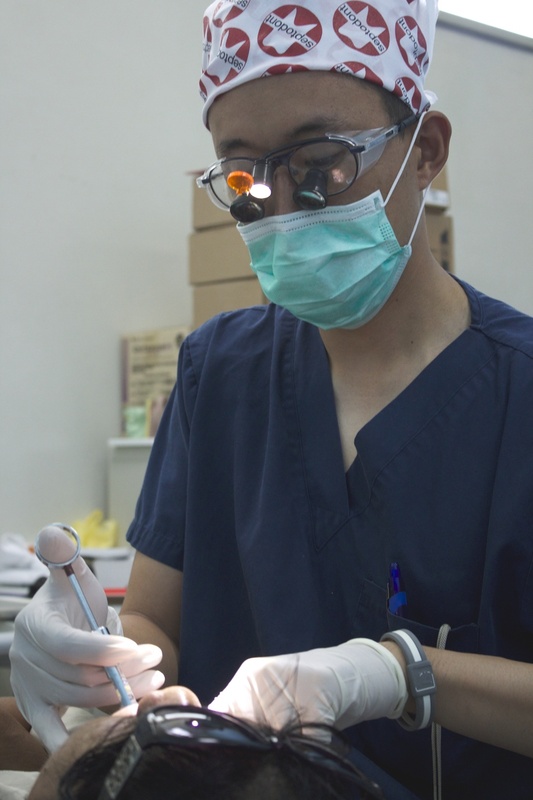 Since our teams were well-equipped, we were able to see 254 patients and perform 477 procedures, including extractions, fillings, and root canals. Fenderson did not accompany this team, though he plans to in the near future. His actions show that you don't need to be a medical professional to help the mission. "There are ways of contributing other than giving money," said Fenderson, "and everyone can participate without having to go." For example: "You can contribute by donating money. Those who don't want to donate can ask their physician or dentist if they would like to contribute supplies." We agree with him; we know that it takes many people to run this mission. Canvasback Missions thanks Fenderson for spending his time to obtain these invaluable donations. Canvasback also thanks suppliers Septodont and SunStar, and the many dentists who made these June teams possible.